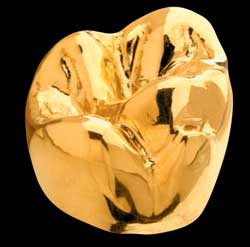 Dental Crowns are designed for teeth that are damaged and need to be replaced for a ceramic crown. 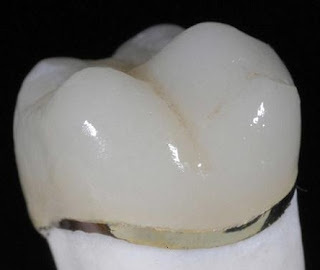 The crowns use the tooth previously prepared to receive a covering or core that can be made of metal, metal-ceramic and all ceramic. Although they are made mostly of precious metals like gold, silver or other alloys, they have a small inconvenient... the colors of the metals and the shine of them make they very visible and obvious to other people. What is worth to mention about them is that their lifetime is long and for patients with a strong jaw they are the best. 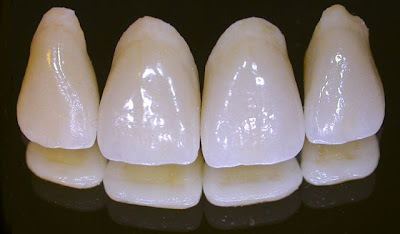 This crowns that fuse porcelain to metal are the second strongest crowns available and they last longer too. 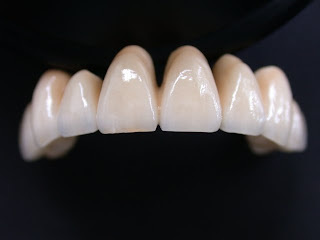 We have to say that because the metal being colored by a paste opaque material the reflective quality of them is poor, but when the porcelain is applied by a master in ceramic they look really good. 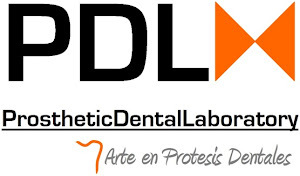 They are made of porcelain, resins or other dental materials. What is outstanding about them is that they look 100% natural on the mouth if you compare them with the other 2 types. Dentists normally suggest this type of crown for front teeth. Although they look better on you, they are fragile and are destined to fail if the pillars where they will be placed are not properly prepared.